Do you still remember Batibot, the local counterpart of Sesame Street in the 80’s? Yes, Batibot will be back on local TV through Channel 5 Kapatid Network! 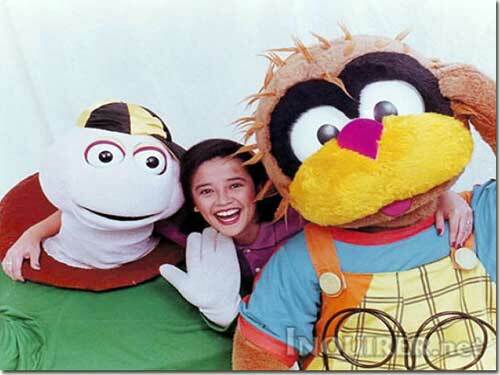 The popular TV show was conceptualized to teach pre-school kids and older kids Filipino values such as saying “po” and “opo” and “pagmamano”. The show doesn’t only teach kids how to read and count, but familiarize kids with our local culture and heritage. I know kids of today’s generation are not familiar with the popular children show back then. But your mommy and daddy do. Ask them about Pong Pagong and Kiko Matsing and they’ll probably have a lot of wonderful things to say about these cute and bubbly characters that gave joy to millions of Pinoy kids in the era where Internet is not yet a household name. I’m sure the new Batibot will offer a new and exciting show using state-of-the-art technology and a lot more to adapt to young viewers’ interest. I heard the new season will not include my favorite characters Pong Pagong and Kiko Matsing, but the there will be Manang Bola and the other lovable muppets to entertain kids. My kids are bigger now to enjoy the show, but my preschool niece and nephews will surely love Batibot! This entry was posted in Uncategorized and tagged Batibot, children, children's show, entertainment on October 15, 2010 by Yami. that's nice. i loved watching it when i was still a kid. OMG! Exciting yan! Napakanta tuloy ako ng Batibot theme song, hehe…yan ang kailangan ng mga techie kids ngayon. I hope mapanood ko pilot airing nito 🙂 Thanks for sharing! I'm glad that they're bringing it back but I'm also 'afraid' that it won't live up to the Batibot of the old days. Many of the people behind the old show are probably not around anymore. Maybe they're better off starting an entirely new show based on the same concepts and principles that were the foundation of Batibot. i love watching batibot when i was a kid, and now that i am a mother maybe i will show Batibot to her. Vera: I thought so too. Iba pa rin kung mga original cast ang lalabas. Thanks sis for the comment. Nope, kasi ala kaming Tv lol..
okay yun, kasi wla ng sesame street dito sa atin, sayang. kaya lang malabo reception ng ch.5 sa amin. maliwanag lang 7,9,11,21 & 23. kahit ch2 pangit signal. Rose: Ako naman Grade 3 na noon nang magka-TV set kami. Josie: Sana nga maganda ang pilot nila at kagatin ng young viewers. miss ko rin ang Sesame Street. sayang lang wala sina pong pagong at kiko matsing sila p naman fave ko sa batibot. nevertheless, m happy na mapapanood ng mga anak koang dati kong pinapanood nung bata p ko 😀 thanks for sharing! I love your new look sis.. and yes I used to watch Batibot when I was small.. happy that show is back!